In New Brunswick, the lieutenant-governor, appointed to represent the Queen, is at the head of our provincial government, seated in Fredericton. Provincial elections have a fixed date and are held every four years on the fourth Monday of September to elect Members of the Legislative Assembly (MLA’s). 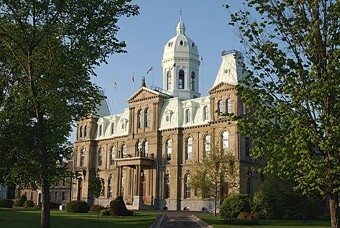 The 49 members of New Brunswick's legislative assembly represent individual constituencies. The party with the most elected members forms the provincial government and its leader is premier of the province. The current provincial government is headed by Premier Blaine Higgs of the Progressive Conservative Party of New Brunswick which took office on November 9, 2018. New Brunswick has 10 appointed seats in the Canadian Senate and elects 10 members of the House of Commons of Canada. Any Canadian citizen 18 years of age or older who has been a resident for six months is entitled to vote. All content ? 2018 Government of New Brunswick. All rights reserved.